I would bet that someone knows what this is all about. Other than the fact that it has two faces in one, and appears to be possibly a gambling game of some sort, I must admit to being stumped by it. Pocket sized, and given out as a promo by Boston’s Quality Lunch. Circa, I have no idea. I am guessing this is strictly a novelty item, isn’t it? Whatever Happened to Judy Scott? 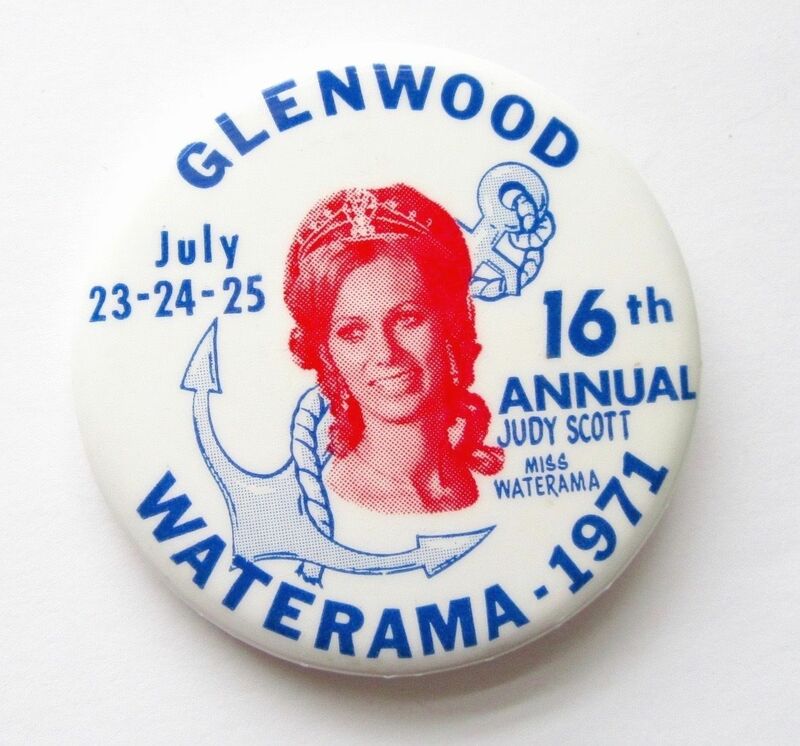 I love the graphics of this vintage 1971 Glenwood, Minnesota Waterama annual festival pin! Makes me wish I could have attended the event!